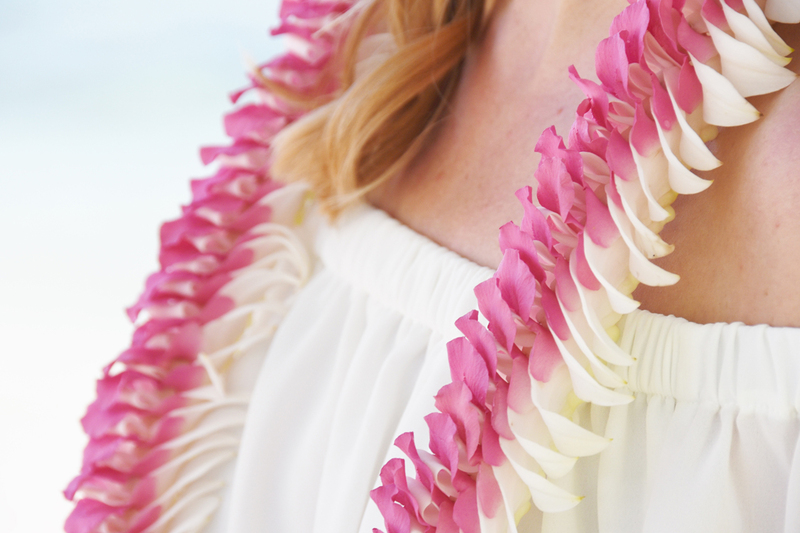 Groom gives a beautiful deluxe pink orchid lei to his Bride. Most orchids come in white or lavendar. These orchids are dyed with creamy pink color. My husband and I had a particular vision for our wedding, and we were struggling to find the right venue, until we came across this place. I liked the Chicago wedding venues, the manager and his team are second to none.